Inge Morath’s first trip across the United States followed a red grease-pencil line drawn by her traveling companion, Henri Cartier-Bresson. In 1960 the two drove from New York through Gettysburg, Memphis, and Albuquerque to Reno. They were among 18 photojournalists commissioned by Magnum to document the Nevada set of Arthur Miller’s The Misfits. The destination was momentous for Morath—she took remarkable photographs, and later married Miller after his divorce from Marilyn Monroe—but it is the trip, the 18 days she spent traveling, as documented in both photographs and journal entries, (“written each night at the table in a motel room that was always in a different place but always looked the same”), that in its casualness can unfold for readers her carefully observed, insightful, and compassionate approach to reportage. 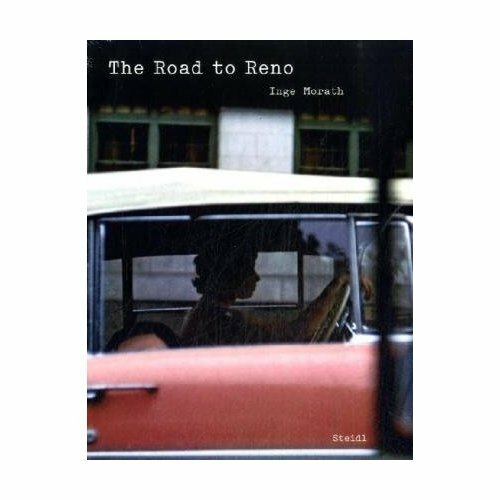 Traveling westward, Morath combines a foreigner’s awe of alien terrain with the curiosity of small-town life, offering glimpses into rather than encapsulations of her experience at each stop. This is the first publication of her work to include her writing alongside her photographs, and it includes an afterword by Arthur Miller.